ADVENTURE is...Summiting a 14er...Out West! America’s Mountain is AOW’s top tour! 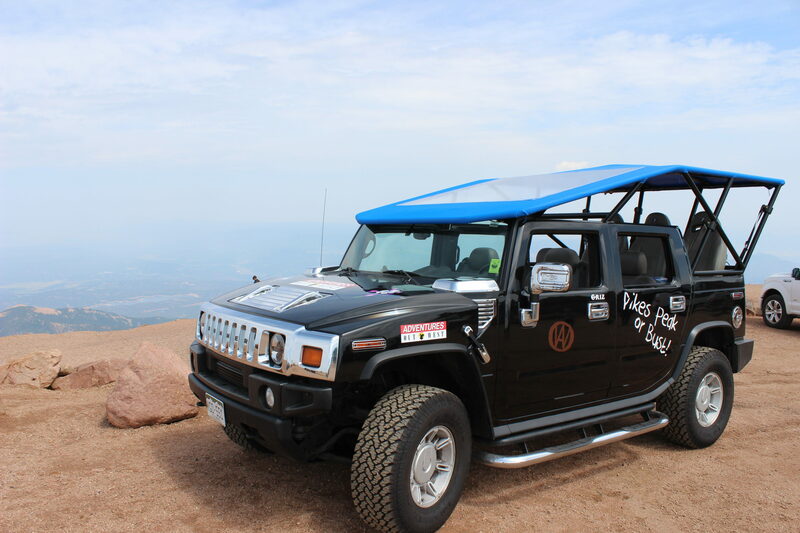 Enjoy the scenery and skip the shuttle line in our open air 4 x 4. Hummer Service is available year round weather permiting. 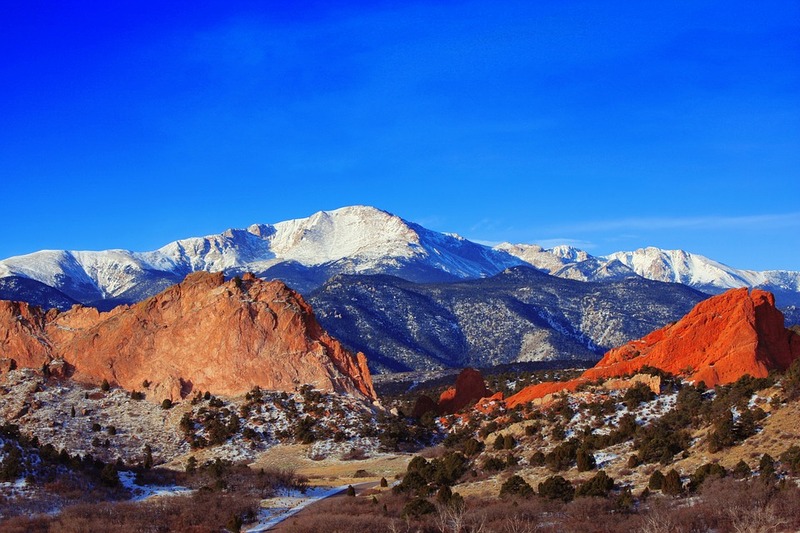 The trip up the mountain is 19 miles on the famous Pikes Peak Highway. The tour includes photo stops and 20-40 minutes at the top. This is a great adventure to 14,115′ and you should consult your physician if you have any questionable health issues before booking the tour. Dress appropriately for your open air adventure (Long pants and a warm jacket, Hats and gloves if you have them.). AOW provides Columbia brand cold weather Jackets and wool lap blankets for your comfort and safety as needed. We’ll do the driving…you do the looking! Offered daily at 9:00am, Year round-weather permiting. 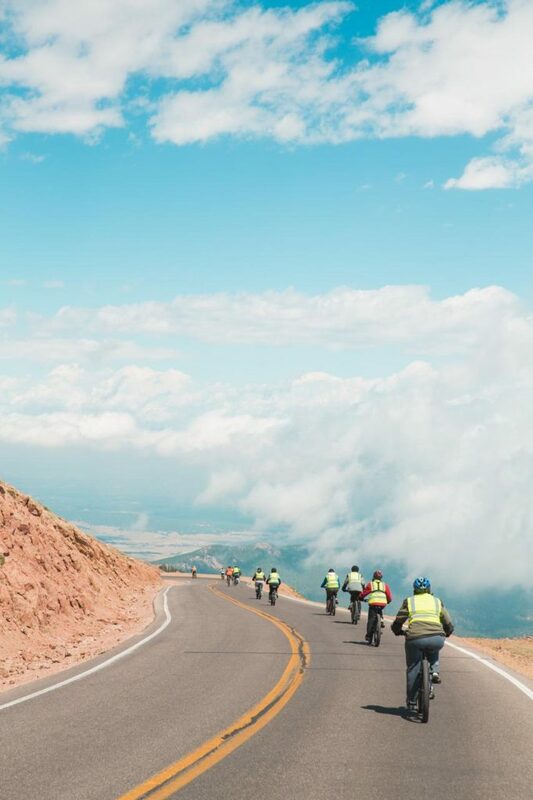 The tour runs 3-4 hours depending on the traffic on the Pikes Peak Highway (entry times to the highway can be up to 1 hour…have your stories ready). 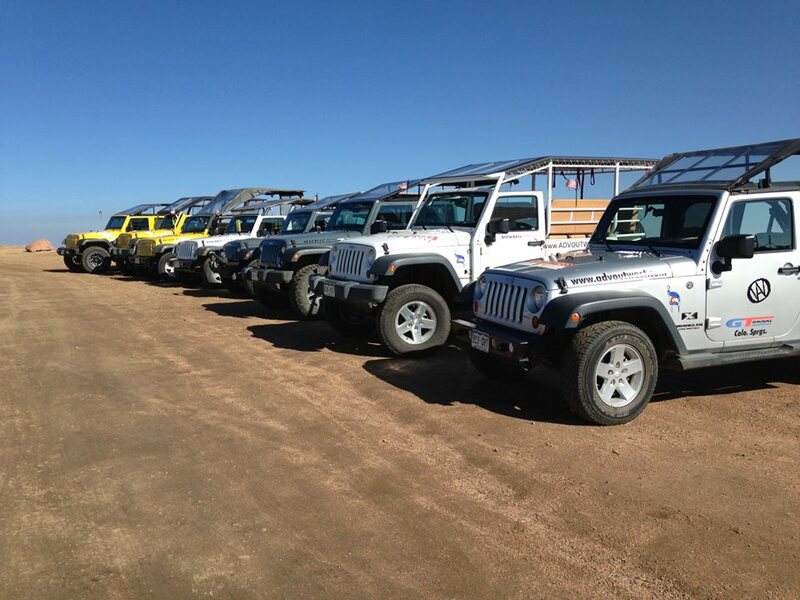 AOW has the largest fleet of Tour Jeeps in Colorado and can accomodate groups of up to 60 people. 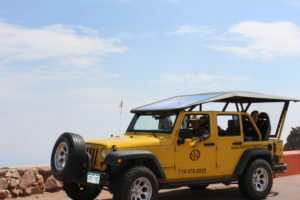 Summit Tours depart from the Manitou and Pikes Peak Jeep Depot in Manitou Springs. Reservations are required. 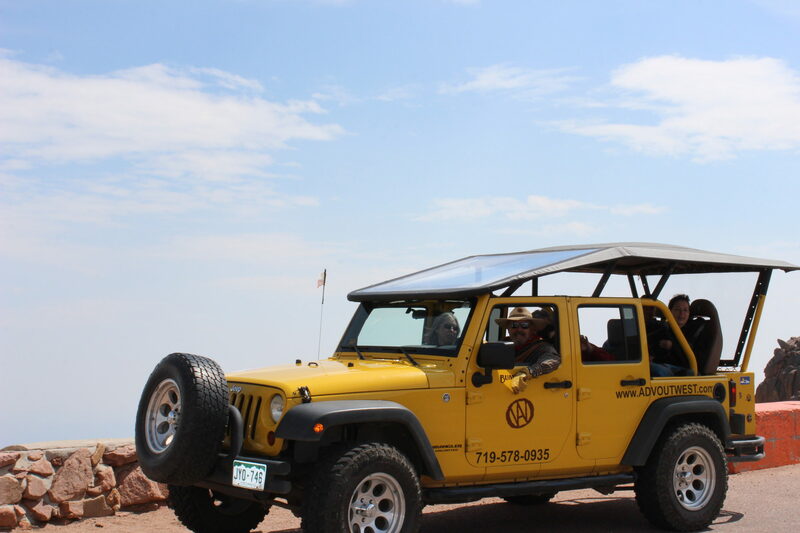 Marketing Services, Inc., dba Adventures Out West filed Passenger Tariff, Colorado PUC No. 5 on February 28, 2019. Marketing Services, Inc., dba Adventures Out West, under Certificate No. 55737, may transport passengers in sightseeing service between points in the Counties of El Paso, Fremont, Park, Pueblo, and Teller. The proposed effective date of the tariff changes is May 1, 2019, unless the Colorado Public Utilities Commission suspends the effective date of the proposed changes. Objections to the proposed tariff changes must be made in writing and filed with the Colorado Public Utilities Commission, 1560 Broadway, Suite 250, Denver, CO 80202, at least 10 days before the effective date of May 1, 2019. If the Commission sets the matter for hearing, the filing of a written objection will not by itself allow a person to participate in the hearing. To participate in the hearing, a party must also file a written intervention and receive leave of the Commission to intervene. Requests to intervene as a party must comply with Commission Rules. WOW! What an experience, The Jeep tour was perfect for my family’s needs. Beautiful! Double your fun with AOW and Challenge Unlimited…and if you add the Zipline, you get a free t-shirt! Call us for more information and to book this exclusive tour. Everyone wants more fun and we’ve got you covered. Our Combo Tour with Challenge Unlimited is EPIC! This world famous bike team will ensure your adventure down the mountain is not only fun but safe. 19.5 miles of scenic cruising, plenty of stops, all the gear and snacks to keep you warm on the inside. And its guided service the whole way. Click on the link to read more about this adventure through Challenge Unlimited. 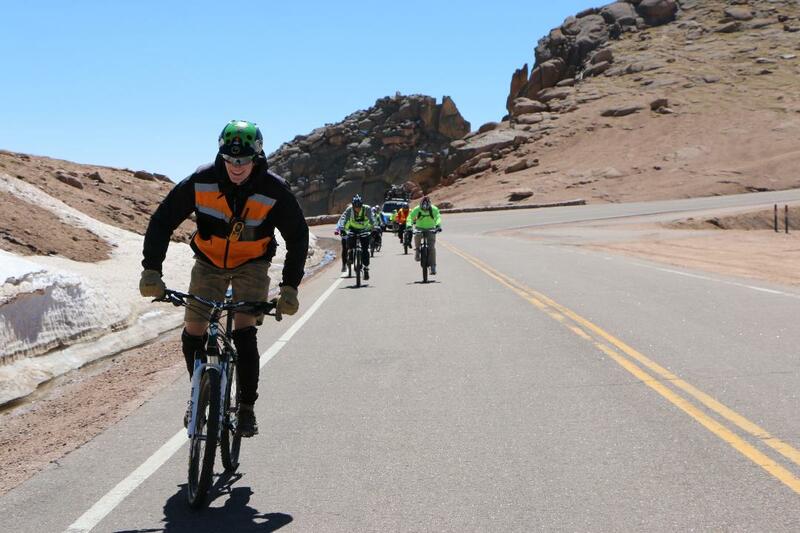 The Jeep and Bike Tour can be booked through AOW or CU. Are you interested in the discounted Zipline Tour to complete the Trifecta? Call Adventures Out West at 719-578-0935 to get this exclusive deal. I couldn’t resist adding the Zipline and now I own the Trifecta T! Awesome! AOW offers customized adventures for you and your team. Group Tour Operators, DMCs, Team building, Scavenger Hunts, AOW has your needs covered. Our fleet can carry up to 80 people. I had done Pikes Peak before but this tour was way better! I could watch the scenery instead of the road. 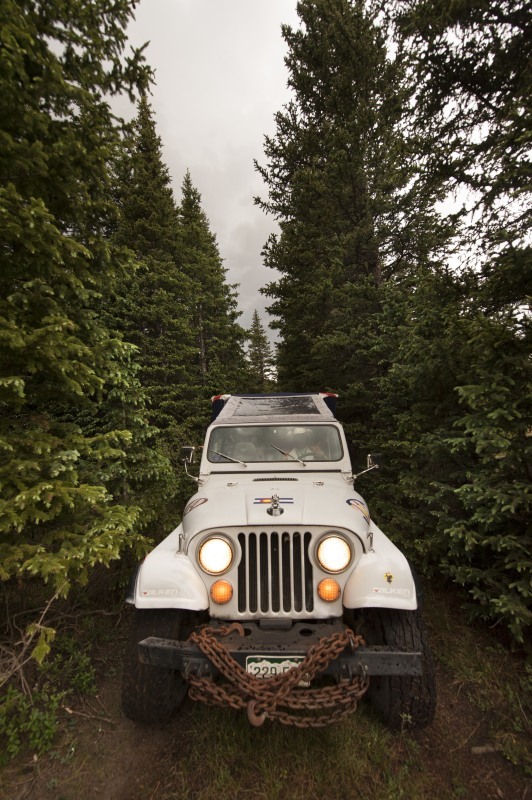 An AOW Jeep Tour is a memory for a lifetime. 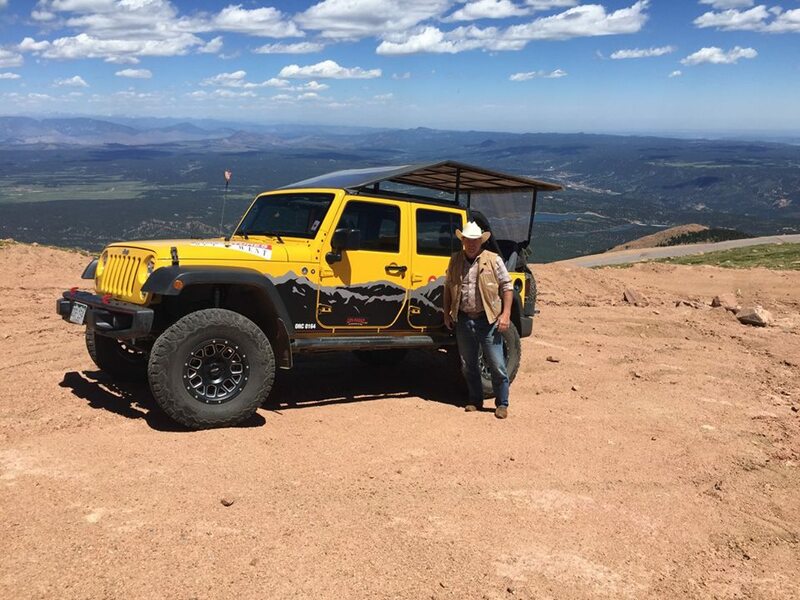 Our Cowboy guides and well maintained Jeeps will ensure a fantastic adventure for you. 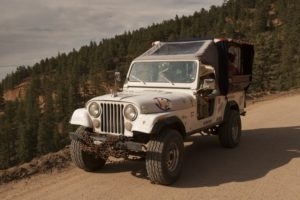 For 25 years AOW has been the premier Tour company in Colorado. We are here to help make your adventure the best possible. Call our office if you have any specific questions, custom tour needs or Group tour inquiries. Our tours take place in the great outdoors and are subject to the whims of God the Father. Remote locations, high elevations and rough roads can and will affect the outcome of tour offerings. Our experienced guides are authorized and trained to make tour adjustments for your safety and enjoyment. Please be prepared for an awesome adventure in the Colorado Rockies. 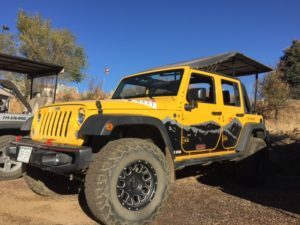 We use a variety of Vehicles and models for our tours including classic Jeep Scrambler, modern 4 door Jeep Unlimited and the Hummer H2. Depending on the tour booked and guest loads we will choose the vehicle that best fits your needs. Tour vehicles are modified to enhance the guest experience and do not offer as much protection as a traditional vehicles from both the elements and other vehicles. 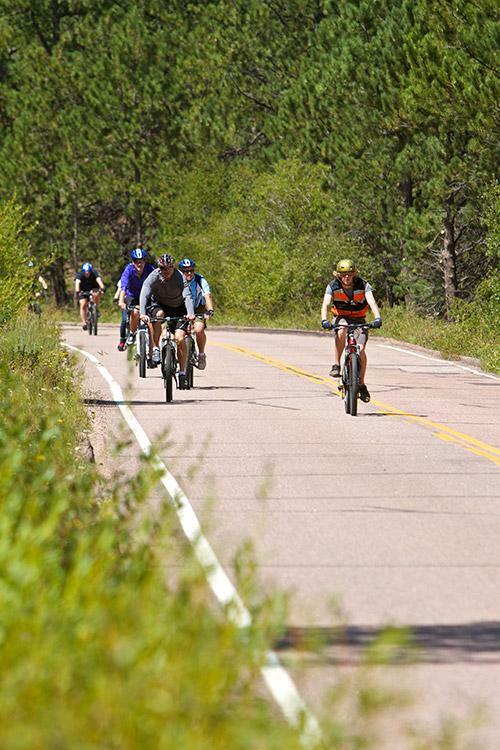 The tour vehicles are commercial vehicles and are regulated by the State of Colorado. Seat belts and Car seats are not required but are recommended. Please bring your own car seat if you need it. All tours include snacks and water. We also carry wool blankets for your needs. 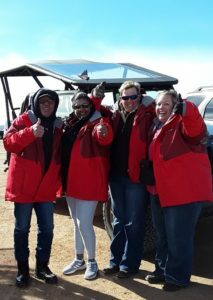 The Summit tours up Pikes Peak also include Columbia brand Summit Parkas if needed. Guest should dress in layers and wear sunscreen. This is wind in your hair fun and adventure. You might get wet!